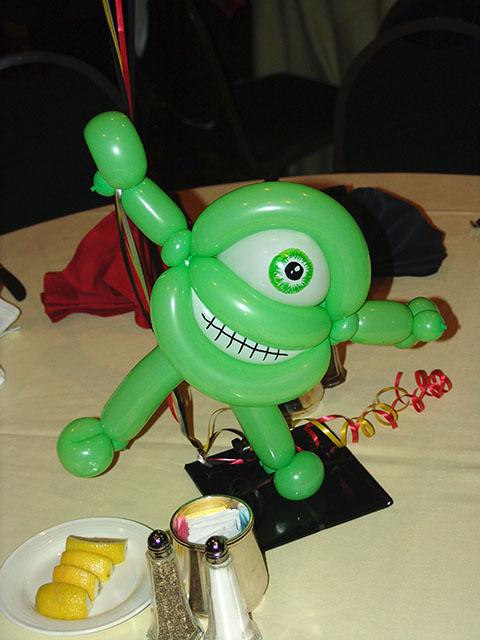 In part 3 of our Disney series, I feature Mike Wazowski from Monster’s Inc. Stay tuned for even more Disney Balloon Centerpieces. This entry was posted in Uncategorized and tagged ballons, Balloon Centerpiece, balloon sculpture, balloons denver, balloons westminster, baloon, baloons, colorado, delivery, disney balloons, disney centerpieces, globos denver by admin. Bookmark the permalink.